When in Japan, the two go-to choices of travelers always revolve around the cities of Tokyo and Osaka. A third option exists to advanced travelers. When you’re just about satisfied with your thirst for urban scenery and deep-rooted culture, you are now welcome to enter the snowy plains of Hokkaido. Planning a trip to Hokkaido offers an extra challenge to all travelers. It simply isn’t easy because there’s just too much to explore. This is why there will be two parts to planning your travel: the pre-trip checklist, and your actual guide once you’ve reached your destination. It’s a fact we have to face. It’s hard to be away from home these days without internet connection. Quite honestly, having no internet connectivity while traveling In Japan will be a nightmare. From translations to map-checking, things will be more complicated. The choice is yours if you want opt for a sim card (for solo travelers) or a standard 4G pocket wifi (suited for group travels). An efficient public transport is what drives Japan in general. Before heading to Hokkaido, get a reloadable IC card that could be used on all public transport like JR trains, and buses. Pre-purchased IC cards from other regions like Tokyo and Osaka can also be used. A famous landmark in the area, this tall structure offers a beautiful view of Odori park. It is the second tallest tower in Japan after the Tokyo Tower. They charge an entrance fee of 720 yen. Third party services such as Klook offer tickets for a relatively lower price. Beautifully restored and a favorite tourist spot, the Otaru Canal is a sight of beauty, better at nighttime. The place is a serene body of water lit by 63 gas lamps along its promenade. If you travel during the winter period, you get to see the stone houses buried in snow, giving an appeal that reminds you of the western places. 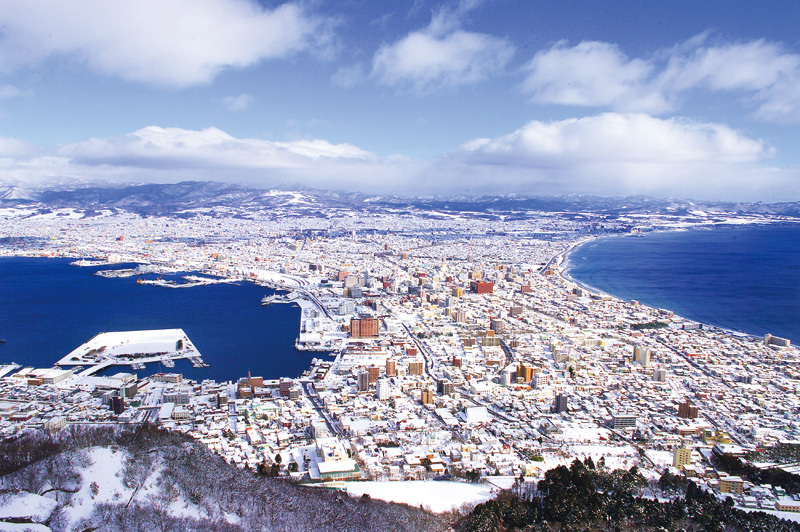 Standing at 334 meters high, Mount Hakodate is a wooded mountain at the southern end of the area. For cheaper expenses, this perfect spot offers a view of the city from a high vantage point. The facilities are accessible through your choice of a 10-minute ropeway, or through a bus. They charge a fee of 1280 yen for a roundtrip ropeway and 780 yen for a single trip. We live for beautiful turquoise waters and a sense of peace. This place is a must-visit if you’re after wintry sceneries. During the cold season, the area transforms into a magical view as it gets engulfed by artistic lighting patterns. Even without the light shows, its beautiful waters are enough to surely steal your heart. Maybe it’s time to give Sunflower a break. Being in Hokkaido provides a fresh opportunity to fall in love with lavender, which has been cultivated in the area for more than half a century. 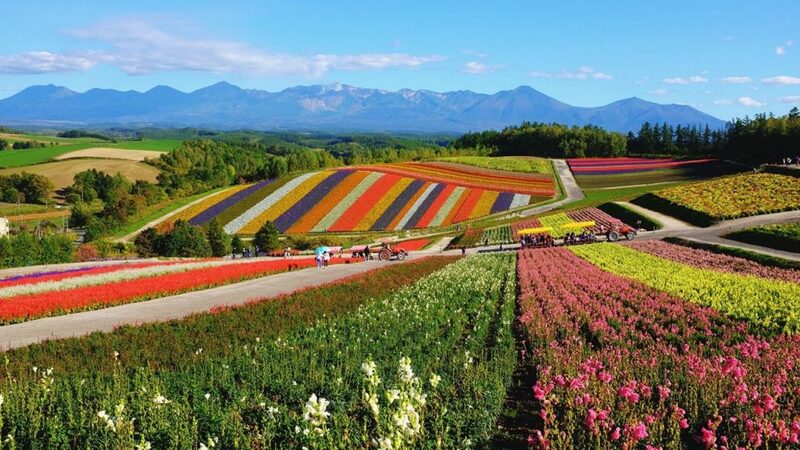 Furano’s flower fields are lavender heavens which always have a lot of visitors in summer, when everything is in full bloom. Still uncomfortable being outside your comfort zone? Overestimate your calculated expenses, particularly when you’re planning to go on a budget trip. Pull the extra strings on safety by securing travel insurance which will provide you security from the smallest hassle to the biggest of inconveniences. The snowy plains of Hokkaido will be waiting for your you, but there’s nothing wrong with a little extra precaution. Be it your first time or your 20th, it’s always best to be at ease and not worrying about anything. 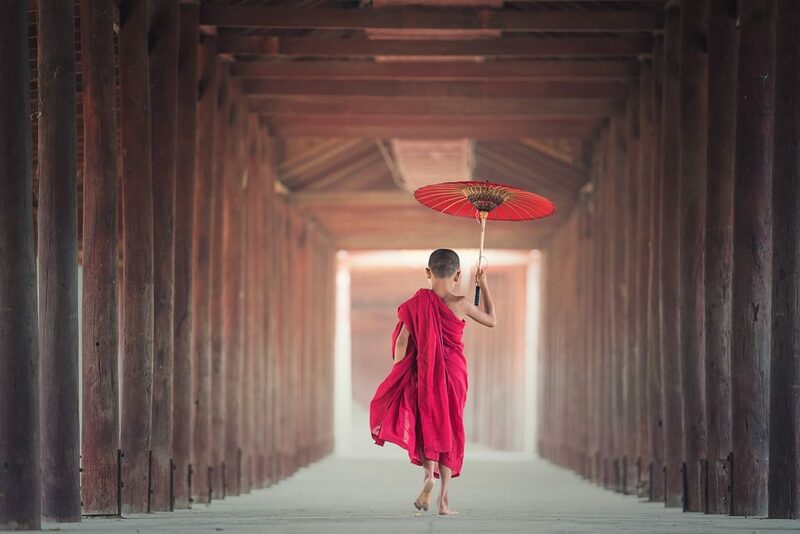 Southeast Asia is easily one of the world’s well-loved and well-trodden tourist destinations worldwide, and, if you’ve visited any of its countries, it’s easy to see the reason behind its appeal. “Diverse” is the best word to describe Southeast Asian countries. It is already known that the culture in these countries tend to be kaleidoscopic—it takes different colors and figures to make it what it is. This is from the people to the culture. However, what people seldom realize is there is diversity also exist in the activities that they offer. All of this can be done in Southeast Asia. Palawan of the Philippines is one of the most popular go-to destinations for people who are willing to dip their toes into the wild side. 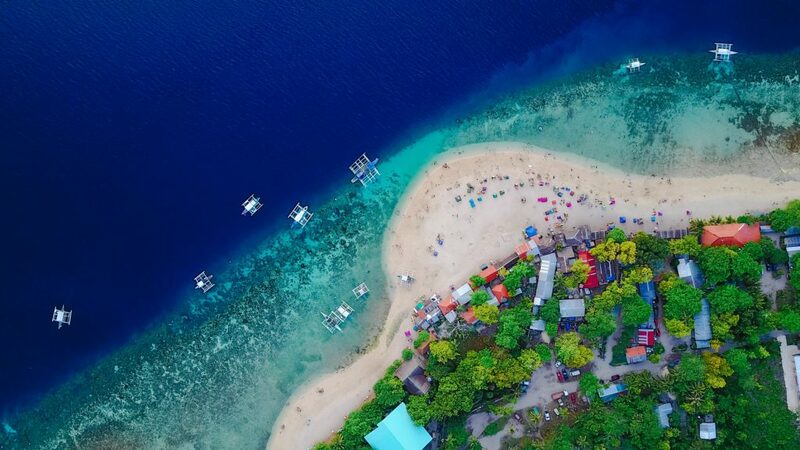 From parasailing, to trekking, to canoeing in a cave, to snorkelling, to full-on scuba-diving, the island of Palawan has it all. The island’s diverse marine life is one the reasons why it is continuously revisited by tourists and even locals. It would be a sin not to explore its waters when there. Prepare some cash, though, almost everything comes with a price there but, rest assured, you’ll get your money’s worth. Other islands in the Philippines that’s slowly gaining popularity is Cebu. The biggest hassle though is the travelling in the island itself. The go-to places tend to be far apart and transportation is a bit difficult to come by, however there are cab drivers that offer their services. explore Gion, and visit a Kimono craftsman workshop, wear an actual kimono, and experience an authentic tea and incense ceremony. You can also opt to have full-course kaiseki dinner, complete with Geisha performance. 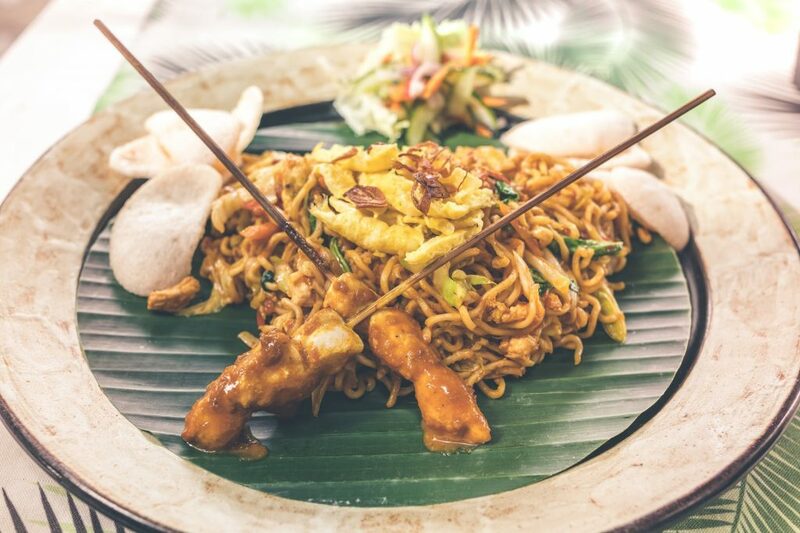 Sure, Thai and Japanese food are great, but nothing compares to the hawker stalls in Singapore. Although the city is known for being “fine” because everything there seems to be expensive and comes with a hefty “fine”, the street foods are actually cheap when taking into consideration their quality and serving. Remember that scene from “Crazy, Rich, Asians”? Made your mouth water, didn’t it? One can map an entire tour, just based solely on your craving. And since the city is quite small, you can burn calories and guilt that came with what you just ate by walking to the next restaurant. You probably won’t, but at least the options there. From adrenaline junkies to wannabe “cultured snobs”, Southeast Asia is ready to cater to everyone and anyone. All you have to do is do your research and know where to look. NEED TRAVEL INSURANCE THAT COVERS YOUR TRAVEL THROUGHOUT SOUTHEAST ASIA? We help expats find the best travel insurance. Get in touch with us. Travelling with a child is not easy. As much as we would want to travel with the whole family, the logistics can be a great source of stress and anxiety. However, just like with anything in life, just because something is difficult doesn’t mean it’s impossible. Take care of yourself before anybody else. Monkey see, monkey do. If a child sees or feels anxiety from the parents, then they would most likely copy the mood. It’s important to remember that in order to take care of someone, you have to be in your best condition first. So, make sure that you get enough sleep before the trip and your health is conditioned for travel. Take Vitamin Cs to boost your immunity. With all the stress that’s bound to come, you’re going to need it. Take into account if the place you’re going is suitable for the child. You can save that Machu Picchu hiking expedition for when your 2-year-old is a little older. Also, make sure that you always have a child-friendly room where you’re going, especially if travelling with an infant. Create a schedule and book the rooms and the places you want to visit in advance as much as possible. It’s better to have an adjustable itinerary in cases of emergency, rather than have none at all. Pack just enough diapers and pull-ups for the trip to your destination. Book a room near a pharmacy for easy access to your child’s necessities. Keep them fed and hydrated with low-sugar snacks. 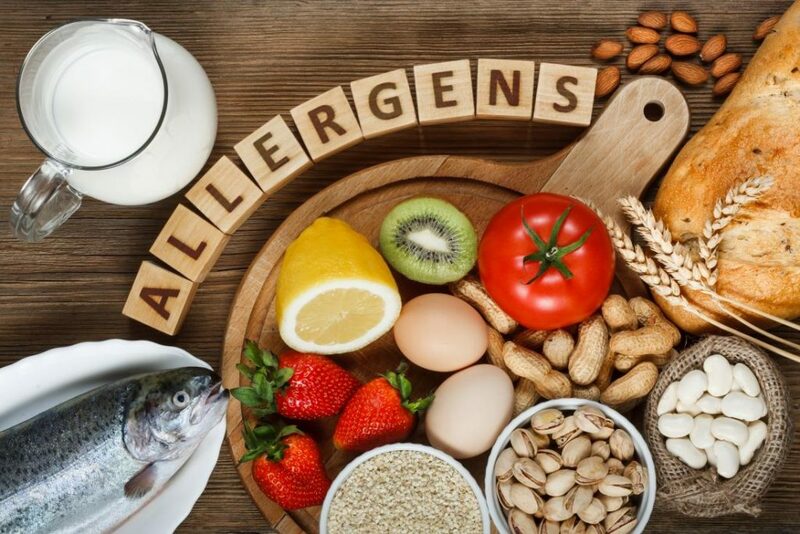 Make sure all their necessary vitamins, medications and formula are in your carry-on. Bring their favourite toy and keep art supplies within your reach for when your child starts to get bored. Load your tablet or smartphone with their favourite shows. Save yourself from a heart attack and buy a kid’s harness. It’s weird to see a child on a leash but it will keep them close to you. Before going out, write your contact details on your child’s arm and make them wear a bracelet tag with the same information. At night, make sure that they’re wearing something fluorescent, like a glow stick, to easily spot them in a crowd should they stray. At the end of the day, we just want our kids to be comfortable, happy, and safe. So, it’s important to meticulously plan a child-centred trip. Making them part of that process ensures satisfaction of not only your child but, also, yourself. We recommend getting family insurance especially when traveling for an extended period of time. Find an international plan that covers the country you’re visiting. We help expats find the right family insurance for expats living in Hong Kong. What about a change of pace for your next holiday? Maybe it’s time to swap the crowded cities for historical grounds and the sunny beaches for pristine architecture. Why not let Iran be your next destination? Don’t let erroneous media portrayal fool you: Iran is a breathtaking country and a refreshing experience that flows beautifully on its own. The beautiful landscapes are one thing, but it’s the people’s warmth that really gets you. Among Middle Eastern countries, Iran is considered one of the safest nations to visit. Backpackers and casual travelers themselves have recommended touring Iran, nullifying negativity surrounding it as mostly outdated and inane. 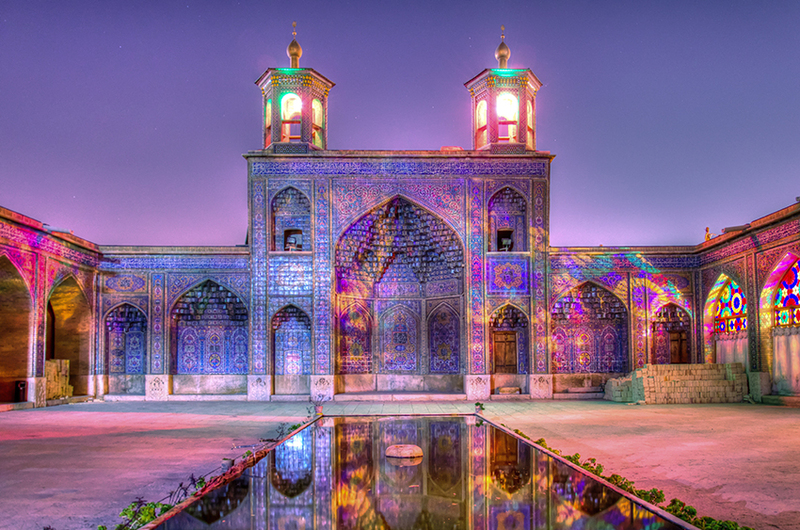 Touring Iran is gradually becoming more of an addition to every traveler’s bucket list. When in Iran, teach yourself a life hack and go straight for the unexplored gems. For the common traveler, the biggest challenge isn’t necessarily to visit the place but to enjoy it before the sudden rush of other tourists. 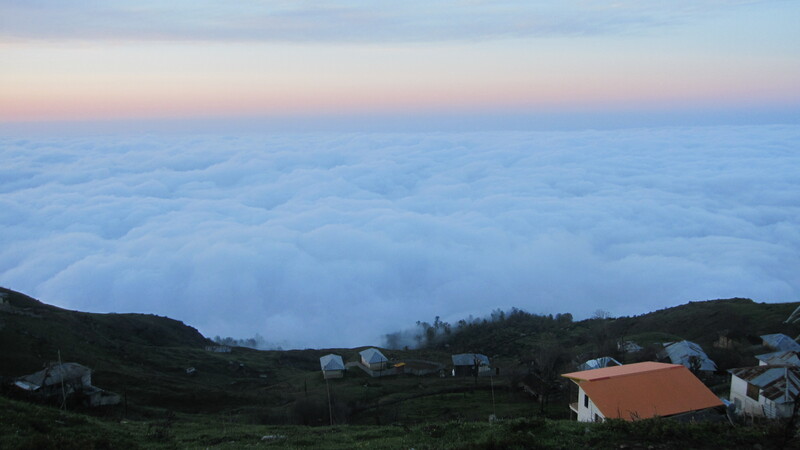 In the heart of the Mazandaran Province, for example, lies a scenic “Neverland” in the form of Filband. What awaits is an unparalleled beauty of cotton-like clouds and lush forests that almost makes you feel dancing among the mountains. Just a little close to the very popular destination Persepolis is Shiraz, the city of gardens and poets. One of its best-known grandeurs is its wine (although reserved for religious practices), that matches perfectly with the relaxed atmosphere that the surreal place offers. 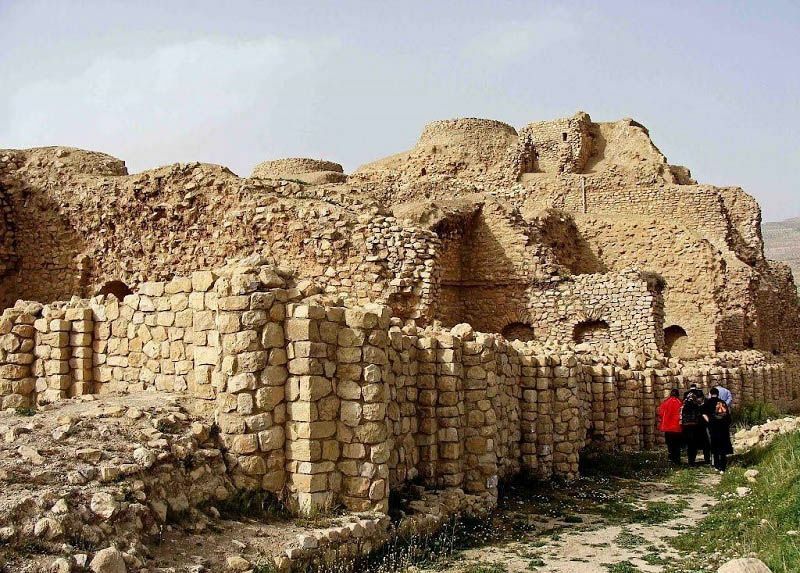 In Fars is a notable historical beauty called the Qal’eh Dokhtar. “The Maiden Castle” was made in honor of the Goddess Anahita, who represents fertility and wisdom. The structure overlooks the Kavar-Firuzabad Road and features a great variety of architecture: including age-old windows and stairways. It has stood for some 1,800 years and is always a pleasure to visit while in the country. What sets Iran apart from other countries is its people’s sense of hospitality, which at times, even extends to the good of your safety. Apart from such trait, the locals are always ready to assist you and even look out for you. In fact, the country is known for being one of the safest spots for female travelers, mainly due to its policies on gender segregation. In return, as responsible travelers, it is apt to show respect by abiding with their conventions. For example, for both men and women, tattoos must be kept covered by clothing. In Islam, tattoos are considered forbidden by tradition. Women must also wear loose-fitting clothing and don a headscarf in public. While all these rules could come off as a shock for most travelers, treat it as part of the experience. All ready? Now it’s to plan that vacation. Just to be sure, don’t forget the cherry on top and also invest in a travel insurance for your next holiday. Your mapped-out trip won’t be complete without the benefit of being worry-free when you’re far from home. 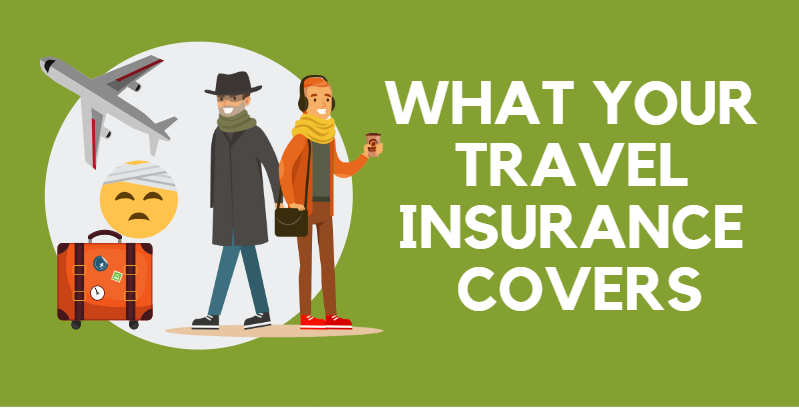 For a more carefree travel, make sure you get travel insurance. Village Insurance Direct helps expats find insurance that can protect you from losses due to flight cancellations, lost of luggage, robberies, as well as possible health-related concerns. Get in touch with us today. You know what can make your travelling more fun? A comprehensive set of rules. Contrary to the carefree facade that is displayed, travelling actually involves so much planning. What places should I go to and will there be time? Where do I stay? How much money should I bring? How many clothes do I pack? Does my travel insurance cover my destinations? The truth of the matter is, preparation is the key to a carefree vacation. Planning ahead can save you from a whole lot headache should the unforeseeable comes. Extra security is always welcome when travelling especially if you’re exploring an unknown territory. Travel insurance may be costly but you’ll be thanking yourself when you lose a bag, miss a flight, or get sick while travelling abroad. Sure. It’s nice to buy your 6th mahogany turtle display, but is it really necessary? Packing has to be the most tedious task in travelling. Always keep in mind to pack only what is necessary to avoid being weightlifter your entire trip, BUT also have at least 2-3 sets of emergency clothes. You don’t want to end up using both sides of your underwear, don’t you? Whether it’s the famous hawkers in Singapore or the lechon in Cebu, Philippines, travelling is not travelling if you don’t try the local’s specialty dishes. The food is part of the culture. I know, McDonald’s is calling you but it’s still going to be there after you’ve gone home. That stew made on goat innards will not be. Live a little and try something different for your palate. People travel to get away, to disconnect. Travelling should be an immersion but you can’t really, fully do that if 75% of your attention is on your Instagram “Likes”, and 15% is on your “Stories”. Just post one photo then go offline. Open it again when the has come to an end. Enjoy your travel in real life. Gain hindsight of the place you’re going. Research on their laws and a bit of their culture and, most importantly, respect them. Don’t ever think you’re exempted just because you’re not “one of them”. Hate to break it to you but, believe it or not, cultures and customs other than yours exists. Sometimes your weird is another’s normal, what’s nothing for you can be a sign of utmost disrespect. The world is a kaleidoscope. Try to see it in all its colors. Travelling can be scary, especially if you’re doing it alone for the first time. It takes an outstanding amount of courage to take that literal first step out to the world. And sure, mishaps can happen but think about what a great story you’ll have at the end of it all. For help with international travel insurance, click here. We specialize in finding the best insurance for expats living in Hong Kong. There’s always the thrill of everyone’s first travel. It can be intimidating but it is an experience worth trying. Get the must-haves out of the way first. Before day dreaming about your destination and itinerary the first thing to pay attention to are the required travel documents. International travel depending on the country requires tourist visas as well as passports with expiry dates no shorter than 6 months from your day of departure. Check these details to avoid the any issues with immigration. Securing your flight dates should be much simpler these days compared to the past decade. There are numerous of mobile apps to make selection and purchase of flights quick and easy plus there are features that show cheap flights for budget-travellers. Prepare up to three government-issued IDs as well as medical certificates for pregnant women and for travellers who need to take larger volumes of medicine such as insulin for diabetics. Baggage security will need to see these documents during luggage check-ins. Finally, get travel insurance that covers all your destinations. For some countries, Visas can only be granted if the traveler has the required travel insurance amount coverage. Smart tip: Email a copy of all your documents to yourself in case you lose any of them. Pack smart and check for prohibited items (e.g. Don’t bring gum to Singapore). Mind the weight of your luggage and if you plan on purchasing a good amount of souvenirs and goods you may want to bring an extra bag or purchase one before returning. It’s impossible to do away with horror stories of tourists who run out of money while on vacation. The danger even heightens for first-time travelers and solo backpackers. One should never make the mistake of a limited and exact budget for the itinerary. It is possible to set a specific amount on less important items like gifts and souvenirs, but never for the essentials like food and lodging. The best way to do this is to always overestimate expenses for everything. It would certainly be better to have financial excess by the end of the trip, but never a deficit. Call your bank to make sure there won’t be issues with ATM withdrawals or credit card use. The irony in insurance is that people buy them in hopes that they won’t ever need them. Some people say that getting insurance is a waste of money but in reality the losses are higher for people who travel without one. Should anything happen to you like loss of luggage or medical emergencies, you’ll have peace of mind that you will be cared for and compensated. Taste the local cuisine. Engage with the locals. While there is nothing wrong with going to tourist spots, ask a trusted local for a better recommendation. Be wary of tourist traps and enjoy the moment without thinking about posting it immediately on social media. Travel for the experience and not just for the photos.